In the thrilling sequel to Guardians of the Gryphon’s Claw, an epic adventure novel that “is sure to keep lovers of Rick Riordan running to the shelves,” Sam London dives headlong into his second case involving a selkie, a mysterious girl, and an ominous new threat to the mythical and human worlds ( School Library Journal )! Sam London didn’t mean to uncover an ancient secret, but when he found out that mythical creatures are real and living in our national parks, he became the newest recruit to the Department of Mythical Wildlife. Ever since, the middle schooler has been anxiously awaiting the call for his next case . . . and it finally arrives with the brazen appearance of a selkie in San Francisco Bay. Along with Dr. Vance Vantana and the guardian Tashi, Sam pursues the selkie, who has taken a peculiar interest in fashion’s newest “it” girl and social media star, Pearl Eklund. But the closer he gets, the more questions emerge about Pearl’s mysterious connection to the mythical world. Is she the long-lost hope for an entire civilization or the harbinger of its doom? It’s up to Sam to find out the truth, and fast. . . . The fate of humanity hangs in the balance. My middle grade readers were immediately drawn to the covers of both book one and two. 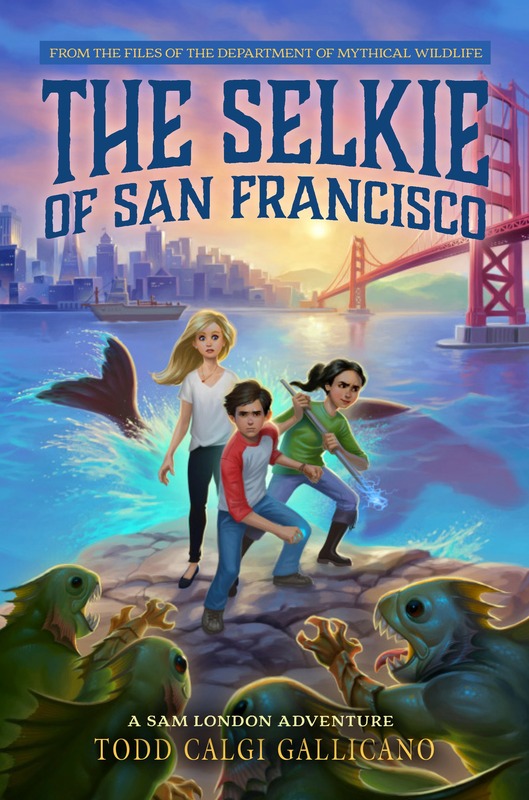 The Selkie of San Francisco is set in the Bay Area with loads of mythical creatures and legends like trolls, gryphons, mermaids and yeti. Main character Sam has some life challenges to work through and the side characters are full of quirky personality. It’s a fun look into a day in the life of a mythical creature investigator including typewritten folder file chapter beginnings. Fast- paced and east to digest reading for the summer break! 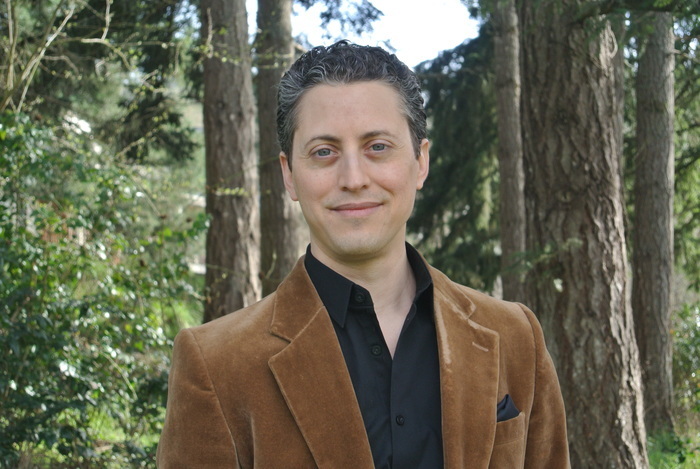 Todd Calgi Gallicano is the author of “Guardians of the Gryphon’s Claw,” the first case in the Sam London Adventure series from the Files of the Department of Mythical Wildlife. A graduate of New York University’s School of Film and Television, Todd began his career in the film industry, before venturing into the world of books when he was provided secret files from the Department of Mythical Wildlife’s archives. Despite pressure from the news media and government, Mr. Gallicano remains tightlipped when it comes to questions about the DMW and his sources within the secret organization. He encourages fans of Sam London to learn more about mythical creatures and to visit and support our nation’s majestic National Parks. When he’s not hammering out the next Sam London novel on his 1938 Royal Deluxe typewriter, Mr. Gallicano enjoys spending time with his wife and daughter. He resides with his family in North Carolina, where he is constantly on the lookout for gargoyles, chupacabras and other nefarious creatures.